The odds of Eddy Boas surviving the war years were stacked against him, almost from the moment the three-year-old was sent to Bergen Belsen with his parents and brother. On the brink of starvation, the child prisoner also endured being loaded onto trains bound for Theresienstadt and contracting typhus after liberation. But he survived – and even more incredibly so did his family. Having contacted officials at the Red Cross, to the best of their knowledge he is a member of the only family to have survived the camps intact. Now Eddy’s incredible story has come to light in his new book, I’m Not A Victim, I Am A Survivor, based primarily on the recollections of his older brother, Samuel, known as “Boy”, and his mother Sara. The 77-year-old, who was just a baby when war broke out and the Nazis invaded his native Holland, has no memories to call his own during those early years and explains he has “blocked everything out” from his mind. 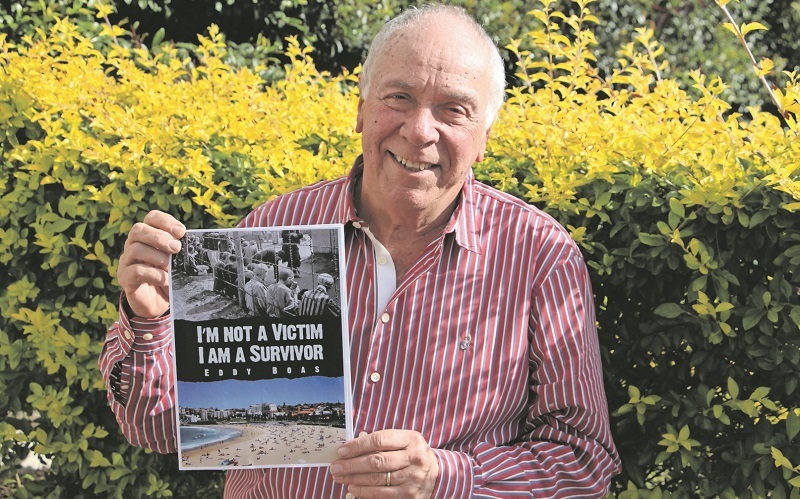 It was only in recent years that Eddy, who today lives in Sydney, Australia, set about to discover more about how he and his family survived through those traumatic years. In 1943, the Boas family were rounded up and sent first to Westerbork concentration camp, before being loaded onto a cattle wagon and transported to Bergen-Belsen. His father Philip, who served in the Dutch cavalry, was selected to drive a horse and cart and pick up the dead bodies around the camp. Eddy, who still retains remnants of his Dutch accent, explains: “The Jewish population were held at Star Camp, but he was allowed to go to the other camps. On 8 April, 1945, as the British advanced towards northern Germany, the Star Camp prisoners were divided into three groups and loaded onto trains bound for Theresienstadt, Czechoslovakia. Today known as the “lost train”, it was prevented from reaching its destination due to Allied bombing and instead ambled aimlessly through East Germany, before being liberated two weeks later. Hundreds of passengers died from malnutrition and typhus along the way. For Eddy, he and his brother survived thanks to the plucky actions of his mother, who jumped from the train on route with another woman, stole seven potatoes and eventually found her way back onto the train again. After liberation, his family were forced to beg and steal food as they tried to make their way back to Holland. Eddy, now five-years-old, was also showing signs of having contracted typhus. Thankfully, a British soldier named Captain Douglas took pity on the family and arranged for Eddy to reach the army hospital in Leipzig, where they saved the young child’s life. 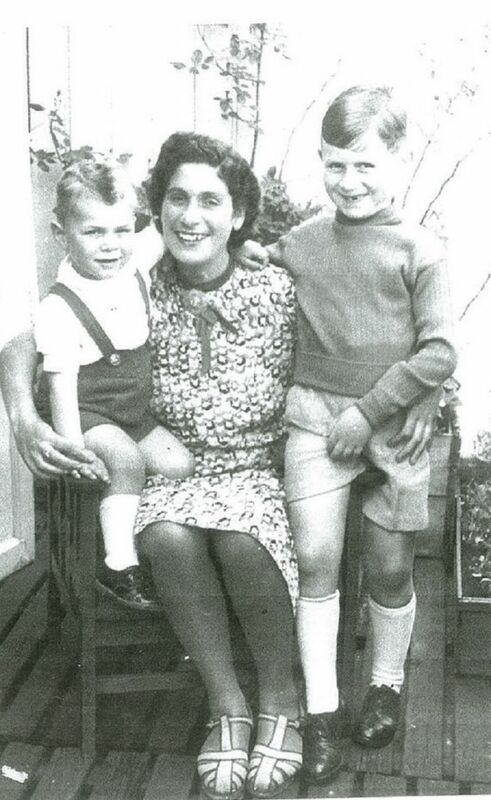 The family returned to Holland in June 1945 and a year later, Eddy’s parents had another child, Estelle. They planned to start a new life in Australia, but tragically Philip died from stress-induced heart failure just a year later. In 1954, Eddy’s mother finally decided to make the 9,000 mile move with her three children to a new country. As they resolved to settle into life in Sydney, Boy, who is now 83 and still suffers nightmares from his experiences, struggled to adapt. But it was not long before he found himself on the wrong side of the law again and this time he was put into prison. In a horrific twist, Boy was placed in a cell next to Nazi SS captain Ferdinand Hugo aus der Fünten, who was responsible for the deportation of 80,000 Dutch Jews. In the next cell was Gestapo officer Franz Fischer, who had been in charge of the deportation of 18,000 Jews from the Hague. His brother’s treatment triggered long-held feelings that Eddy already harbored against the Dutch government, regarding the treatment of its Jewish population after the war. “To me it’s absolutely disgraceful,” resolves Eddy. “The lack of empathy, not just with my family, but other Jews who returned. Holland is the only western country not to have apologised to its Jews. “Instead the government just makes excuses, because once you have apologised, you admit mistakes were made. For Eddy, an acknowledgement is paramount and reveals that he has “never received one cent” from either Holland or Germany in compensation. “I am fortunate that I don’t need it today,” says the grandfather-of-six. He chooses to meditate instead on the fact that he and his immediate family survived, while 64 of his extended family, including aunts, uncles, cousins and grandparents, perished in the Holocaust. For that, he is thankful to this day to his parents. “Why did I survive? The strength of my mother and my father, standing up to the Germans and willing to risk everything, that’s the way I look at it.